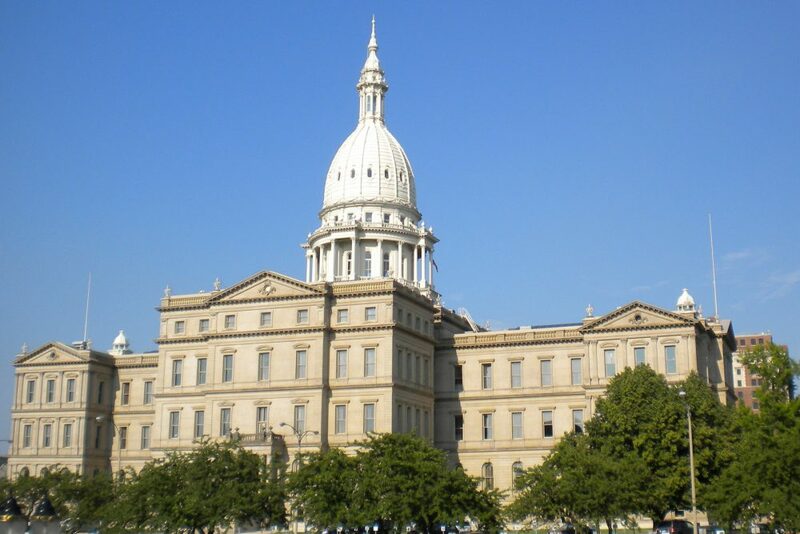 State Capitol of Michigan in Lansing. The Michigan House of Representatives passed a bill Wednesday that would outlaw the sale of any portion of an aborted fetus, even though the practice already is illegal in the state and U.S. The Republican-led initiative, which passed the Senate in April, goes a step further than the federal law by making it a felony punishable by up to five years in prison to receive financial compensation for distributing any portion of an embryo. Democrats blasted the bill as nothing more than a political ploy that could hinder important research. The legislation was written after a widely distributed film claimed that three tissue-specimen companies were selling remains from aborted fetuses from Planned Parenthood. Earlier this week, U.S. Sen. Chuck Grassley urged the FBI and Supreme Court to investigate the companies. Since 2011, federal law has made it illegal to exchange money for fetal tissue. A Michigan law dating back to 1978 also prohibits such a sale. The House bill must now get approval from Gov. Rick Snyder.